Are you looking for ways to help pay for college, graduate school, or seminary? Check out these resources, which can help you to finance your education. The General Board of Higher Education and Ministry (GBHEM) works to advocate for the United Methodist Church in providing financial support for students. They have an annual scholarship application, released in early January, open for all undergraduate and graduate students to apply for. Loans are also available from GBHEM, for those who wish to seek them out. The United Methodist Higher Education Foundation (UMHEF) was founded in 1965 with a vision to support education in relation to the church. Today, they offer a variety of financial support for undergraduate, graduate and seminary, and international students. They also have a scholarship search, where one can put in their level of education, and other information, to determine which scholarships to apply for. A popular program they offer is the UM Dollars for Scholars Program. If your church contributes $1000, UMHEF, your UM school, and participating conferences can match that for a potential total of $4000. 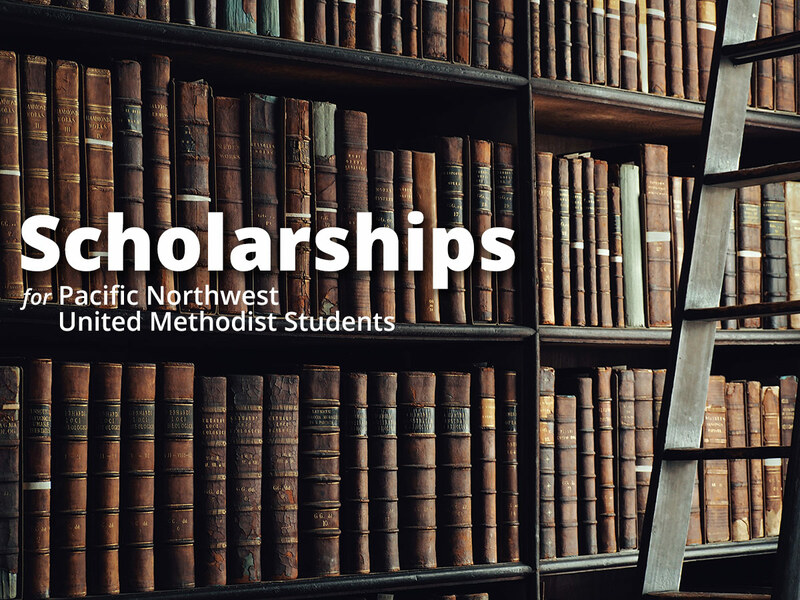 A Pacific Northwest Conference scholarship offered to students who are members of a United Methodist ministry setting (church or campus ministry) in the Pacific Northwest. We will be offering a limited number of $1,500 scholarships. 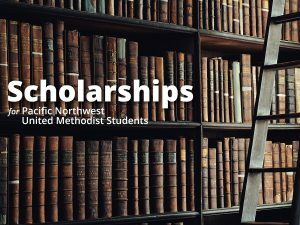 Applicants must be ACTIVE, full members of a United Methodist Ministry Setting in the Pacific Northwest Conference for at least ONE year. Membership is determined by the date the applicant was confirmed and took membership vows with a United Methodist setting (Members of other Methodist denominations are not eligible). Membership will be verified. Applicants must be pursuing a degree through an accredited program, college or university (which can be outside the state). High school students may apply IF they will be college students in the fall term. Applicants must apply each year they would like to be considered for a scholarship. Scholarship may be granted a maximum of 4 times to the same applicant. Please include 2 letters of reference. The first one must be from someone of a pastoral role. The second one should be from a teacher, work supervisor, club sponsor or other. Reference letters should address why the applicant would make good use of the scholarship and what characteristics make the applicant a good choice for this scholarship. References must not be related to the applicant. Please gather all the information you need before starting the application including your reference letters. You cannot save and return to the application later.